There are some rumors popping out recently about GTA 6, which is expected to take place in New York City or Houston. 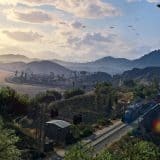 Small remarks coming from developers of GTA 6 are growing fans’ impatience, it is said to have features such as scuba diving and big maps with lots of room for exploration. One more expectation – female character as a protagonist at the game. 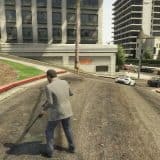 GTA 5 has 3 different protagonists: Michael de Santa (criminal in the past), Franklin Clinton (repo man) and Trevor Philips (current criminal). Trevor is a crazy and intriguing character, though it is expected that a female character will have a lead role in GTA 6. Rumors say that GTA 6 is going to be built around female’s life story. 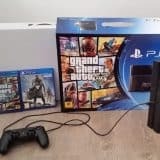 Fans are a bit nervous: in this case, if the storyline is going to be built around two dominating roles – female and male – Rockstar Games would have to do loads of work. And of course it would bring great changes to the whole GTA series. Why? First of all, GTA series is widely known for quick and fun destruction in a virtual world. At the game, people are free to travel and do whatever they want while they are on the mission. If Rockstar Games decide to put a female character in the lead role, this could come as a bomb in sexiness and hotness combined with thrilling and adventurous experiences, and it could bring GTA games to the next level of gaming experience. Although sworn fans of GTA would probably love female character either way, this would be a drastic change, which would let them to explore new fields of playing GTA – all past version were using male character in a lead role, so fans are a bit bored with it. Hence, female in the lead role at GTA 6 could be a boom for GTA series games. Don’t forget that new ideas for GTA 6 are always welcomed in the comments section, which is below.